GitHub - anderejd/electron-wasm-rust-example: A minimal Electron + WebAssembly (WASM) + 🦀 Rust example. A minimal Electron + WebAssembly (WASM) + 🦀 Rust example. Want to be notified of new releases in anderejd/electron-wasm-rust-example? anderejd Updated wasm-bindgen-cli version in the README. 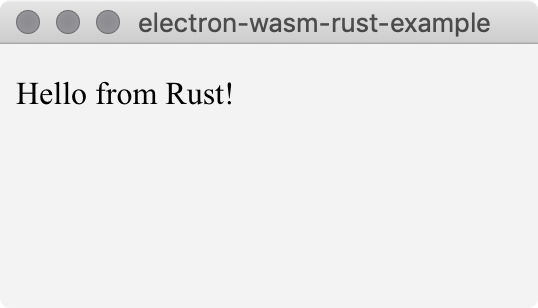 A minimal Electron + WebAssembly (WASM) + Rust example. Use the build.sh or build.ps1 script to build the WebAssembly module. TODO: Depend on and add scripts(?) for https://github.com/electron-userland/electron-builder, see issue #7.